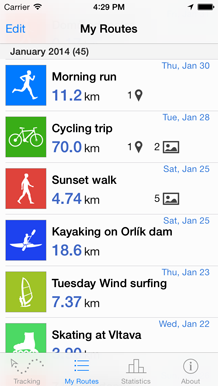 Simple, fast & beautiful way to track and share your sport activities. How long was that downhill? 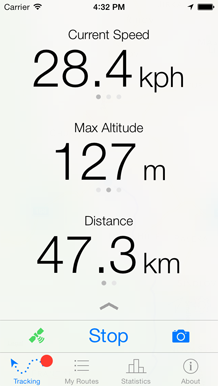 What was my average speed there? Just place your fingers on the graph and you'll find out. Great deal of thought and effort went into making every aspect of Routie feel just right. Current users love it and we believe you will too. 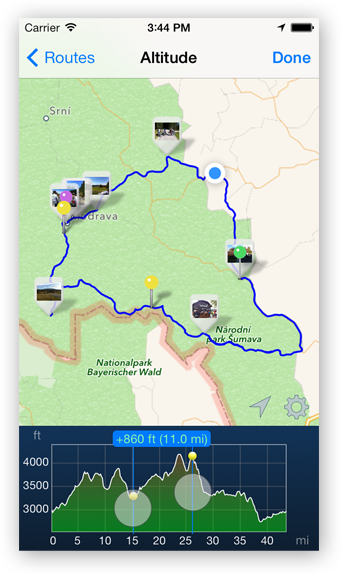 With Routie or Camera app, and have them added to map and shared alongside your track. No registration, no hustle. 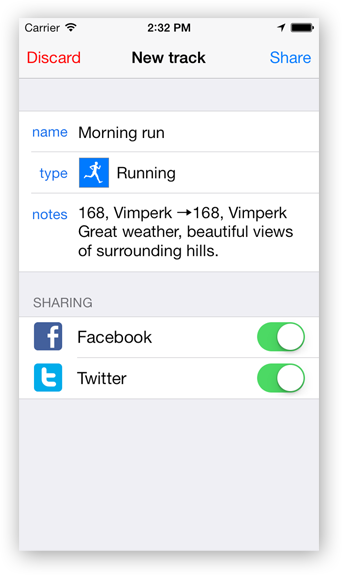 In fact, you can go from tracking to sharing without having to type a single character! 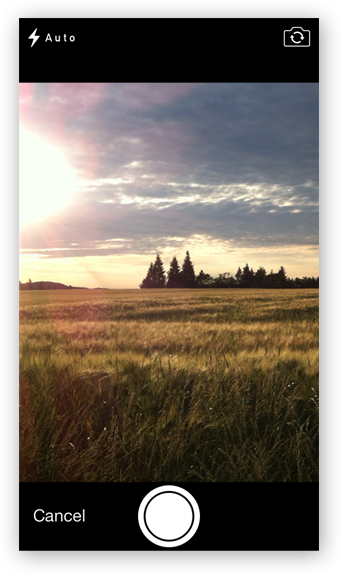 Ever stopped for lunch or found that beautiful place and wished there was a way to save the location? Routie has you covered! 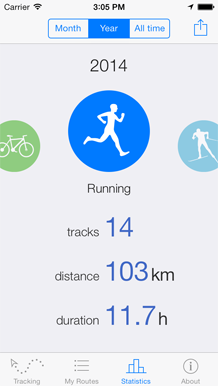 View total distance, duration and track count for each of your activities. Pick from 3 time periods: last month, last year or all time. 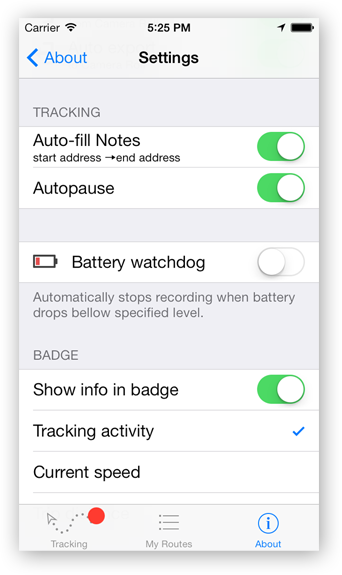 • Restore unsaved tracking session in case anything bad happens. How exactly does the sharing work? When you share to Facebook or Twitter, your track is uploaded to our server and unique link to the page with this track is created for it. That link is shared to the social networks. You can see an example here: routieapp.com/t/GbEC. Is heart rate monitor or other accessories supported? 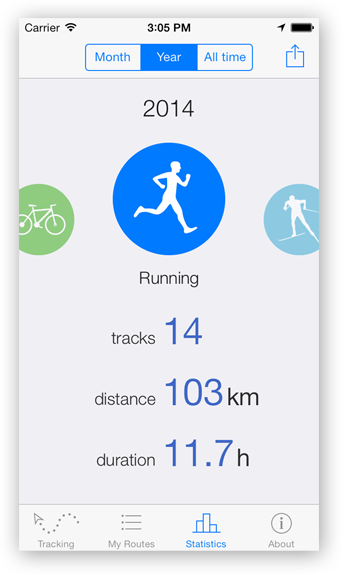 Routie supports all Bluetooth 4.0 heart rate monitors. You can easily pair with your monitor and have Routie record your heart rate throughout your workout. Then, you can see interactive chart of your heart rate over time, as well as your average heart rate and max heart rate. Do I need internet connection for tracking? No, you don't. You won't be able to see the map unless you have internet connection, but everything else will work. Can I export my tracking data to files? Sure thing! 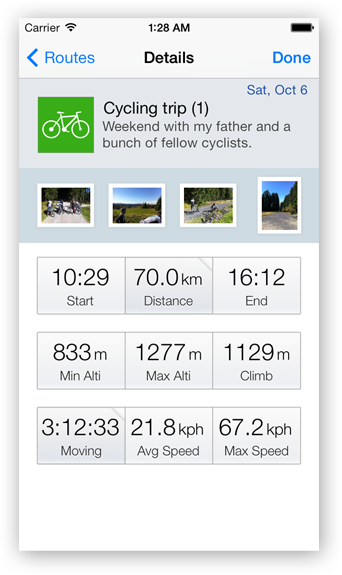 Routie has a sharing screen for each track, where you can share to your social accounts, and also export to file. 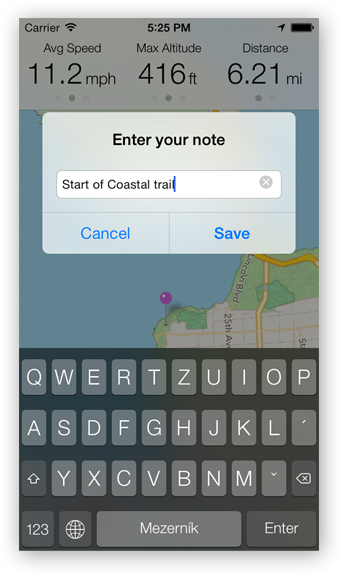 You can export to GPX, KML and/or KMZ, and you can Open in.., Share via Email or copy to iTunes File Sharing. For more info about Routie exporting, check out this blog post.